Restoring Hope Through Healing. The therapists at Heritage are all qualified mental health professional counselors helping individuals, couples and families. The therapists at Heritage Family Counseling Services are dedicated to providing quality mental health services for Individuals, Couples, and Families of all ages. We seek to assist in restoring and revitalizing the lives and relationships of our community through clinically effective and life-enriching therapeutic interventions. 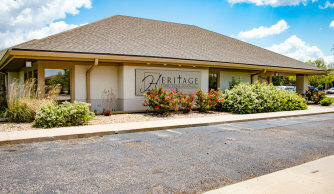 Established in 2003, Heritage Family Counseling is a large network of clinicians who seek to be a steady and reliable source for counseling services for Wichita and the surrounding communities. Our licensed therapists are well trained, compassionate caregivers that are dedicated to providing the very best in clinical expertise. We endeavor to make Heritage a place where you can come to find guidance and healing during times of struggle and hurt, or simply when you desire direction or tools to assist in some of life’s most important decisions. It is our hope that we can be a part of seeing individuals and families heal and thrive. Call us at 316-461-7923 to set up your appointment today.